These counties, especially those in the west, are distinguished from their neighbors by few ignitions and a low area burned. 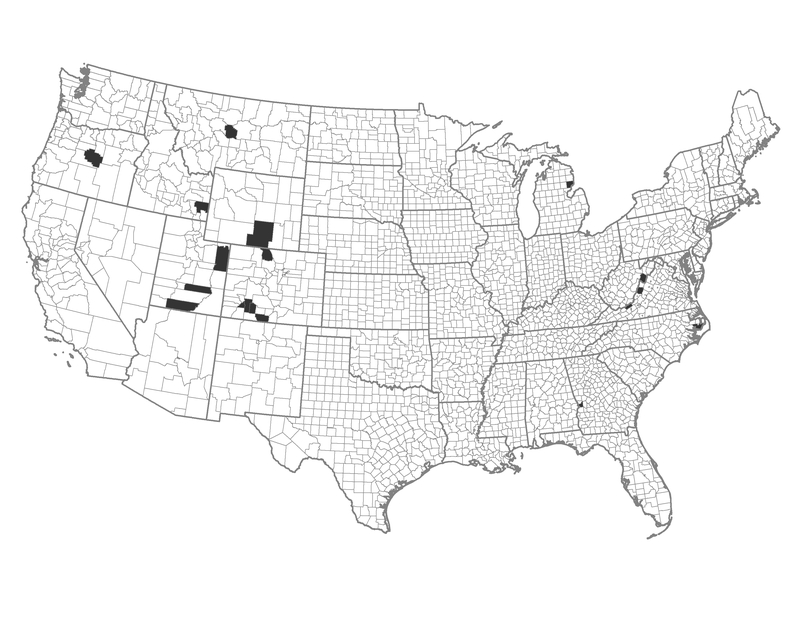 Each of these counties are forested and have a federal land presence. Portions of some of these counties have experienced large wildfires. Example of a Typical County — Emery County, Utah: Dominated by BLM lands and Manti-La Sal National Forest, this county has extensive area with low fuels. For areas without a large wildfire risk, individual homeowners can be proactive on home defensive actions.